Opening an Etsy shop to sell my vintage collection was a conscious act to de-clutter. Naming the shop Madge’s Hatbox, after my grandmother, was loving nod to her years as a milliner. Then a chance remark by my aunt sent me on a journey in search of a hat shop my grandmother opened in 1917. After securing funds for millinery supplies then traveling by herself from Kansas to Scooba, Mississippi to find her fortune, Madge’s courage and drive to succeed continues to be a daily inspiration. The following is a series of articles chronicling my journey to try to find that hat shop. Hope you enjoy the ride. And so with this letter my journey begins. A journey to rediscover my grandmother’s life as a young woman trying to make it on her own as a milliner. For years I had known that my grandmother Madge worked in the hat trade before her marriage to my grandfather, but never knew any details. She didn’t talk about that part of her life and I was too young to realize the importance and bravery of her actions given the times. After my junior year in college I married and started my own life and put her information in the back of my mind for some other day. After all, there was plenty of time. Unfortunately there wasn’t any more time. Madge died of the flu within the year. She was buried in the dress she wore to my wedding . . .
Madge and Mr. Madge left Atlanta on Friday on our trip to Scooba to find Madge and made it to Birmingham, Alabama by lunch. 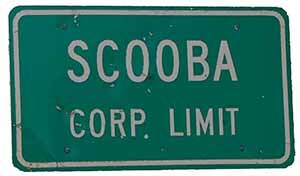 Then for several hours we wound through the rest of the state on two lane roads until we were over the border and in to Scooba. It was hot and muggy and we could hear thunderstorms in the distance. We made a beeline to the Tubb-May Memorial Library on the campus of East Mississippi Community College to meet the librarians who have been helping me track down my grandmother’s hat shop. Madge was so excited to finally get together with the wonderful folks who have been so generous with their time . 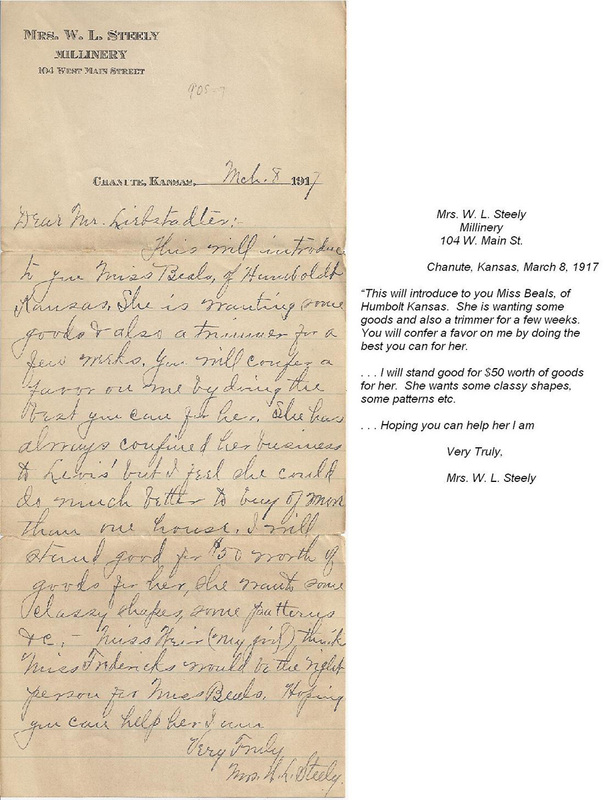 . .
You might remember a previous post which including a letter from Mrs. Margaret Steely in Chanute Kansas. My grandmother worked in her millinery shop and Mrs. Steely volunteered to stake Madge $50.00 in materials when she decided to open her own shop in Scooba Mississippi. Recently I got a chance to go back to my hometown, Wichita Kansas and while there, my friend Mary and I took a day trip over to Chanute to see what we could find . . There is great news to report from Scooba Mississippi . . . Bright and early one monday morning Madge was back on the road. 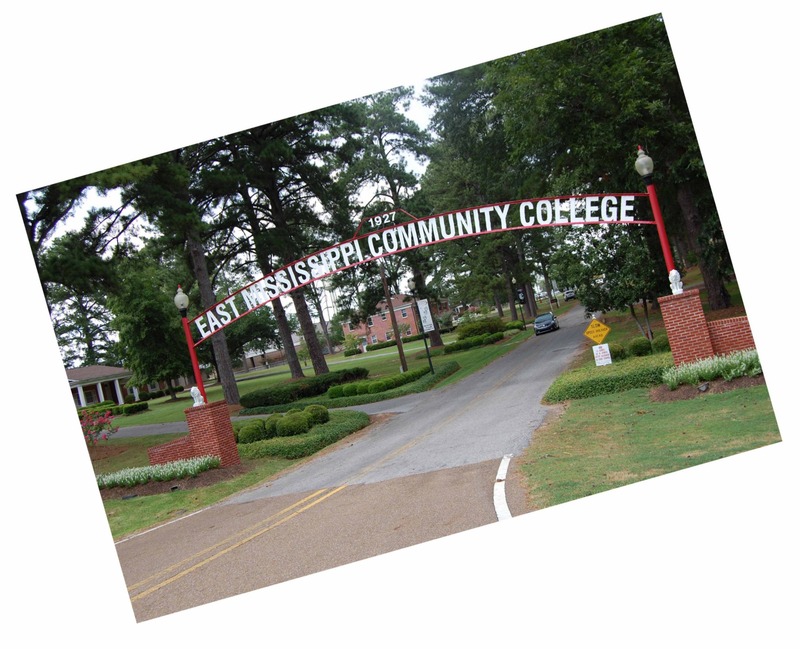 A social commitment in Dallas allowed a trip through Mississippi. The plan: spend a couple of days in Scooba plus do some archival research in Jackson. It was finally time to try to put the pieces together on grandmother Madge’s Hat Shop in Scooba . 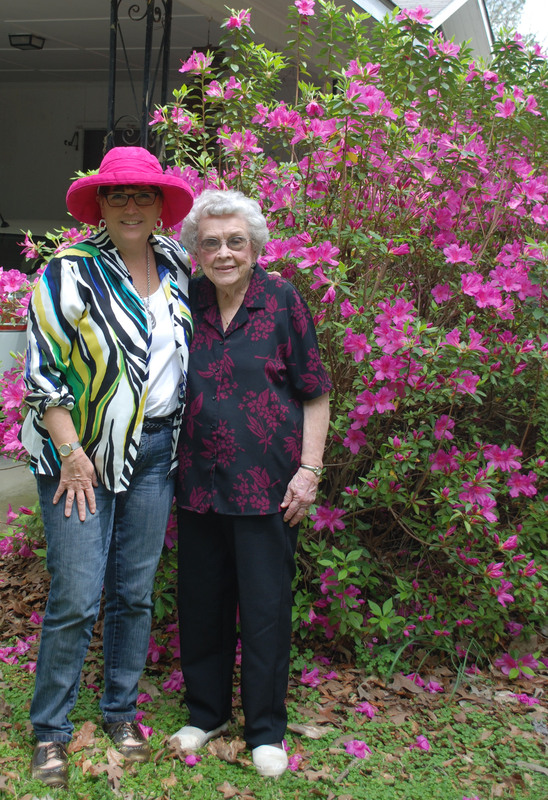 . .
Madge and Thelma in front of her beautiful azaleas. With Miss Thelma’s canned goods safely tucked in the back seat, Sarah and Madge headed off to the big city of DeKalb, county seat of Kemper County, Mississippi. Our destination was the Kemper County Historical Museum . . .
Would the question of grandmother Madge’s hat shop in Scooba Mississippi ever be answered? I had two more chances to find out . . . I am so glad you found your answers my friend! I know how much fun looking things up on microfiche can be, as I occasionally have to do this as research for our building at the city records dept.